Born: Elton Evert Frans but been given the nickname Taty from my aunt. Growing up 2 minutes next to the sea and raised by my grandparents from my mother side which are active/addicted sailors and fishermen, so love for the sea was in the blood. 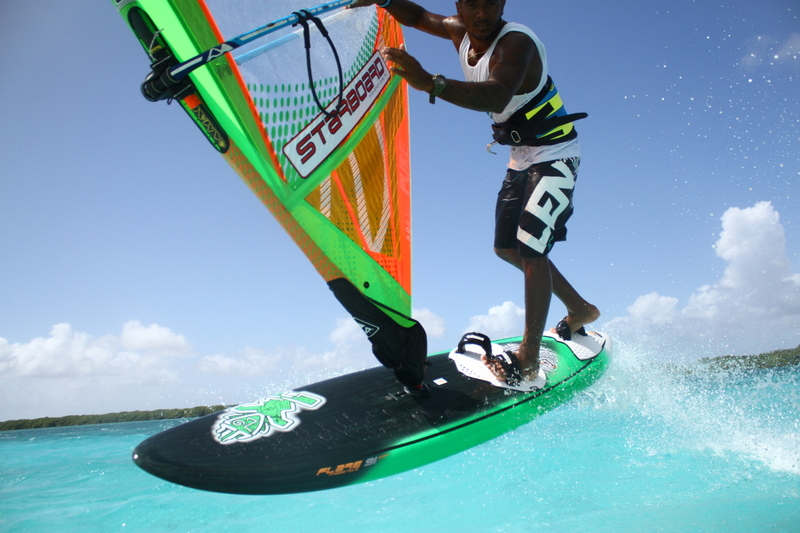 I did all the sport land sport before: baseball, basketball, soccer, tennis but none gave me the pleasure, so in late 1995 when my brother Tonky introduced himself to Elvis Martinus back then a top Caribbean windsurf to teach him how to windsurf. So Elvis only showed my brother the basics and he figured it out by himself so it all started with him tying a rope at the beach and one to the board so that he don’t go too far from shore, so I just followed my brother’s footstep and together we train each and every day some days not even going to school just to improve ourselves, shortly after a year later 1996 I competed in the first Bonaire regatta as a junior and became third and my brother Tonky won, as a kid having to win a trophy is like the world, so from then on 96 starting 97 I became more active in this sport, made it my life, my everything, my passion it even became the sport that brought me peace of mind so it was more the reason to go each day on the water and enjoy myself. 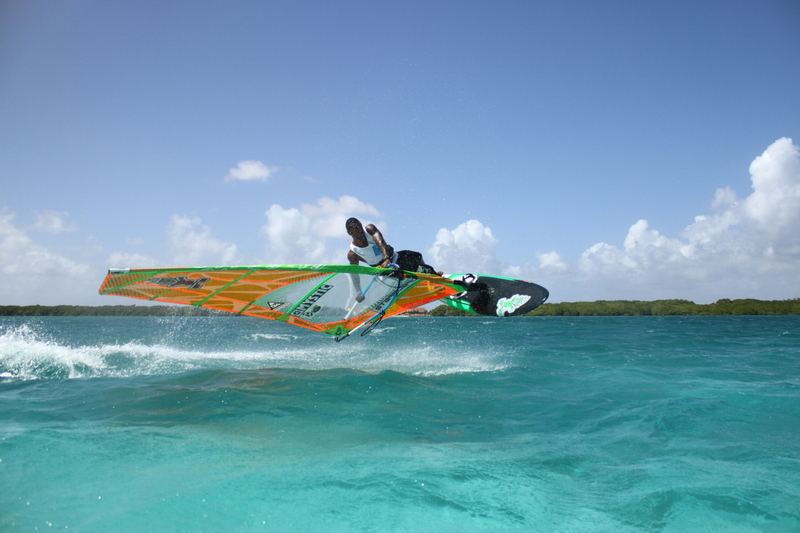 After Tonky became the national Athlete/windsurfer in 1998 by winning all the events on Bonaire and Curacao, we took ourselves to the next level and got to go international, got sponsor deals in 2000 and since 2002 became active professional windsurfer. In 2005 a dream came true when I had the chance to help develop the freestyle board for starboard, putting my own ideas and since then to present I am still doing this. Life on the tour is not easy but I learned a lot and got to know a lot of people, beautiful places and through all that I became a father in 2010 and I am happy to have such a beautiful daughter in my life that supports me and loves me so much. 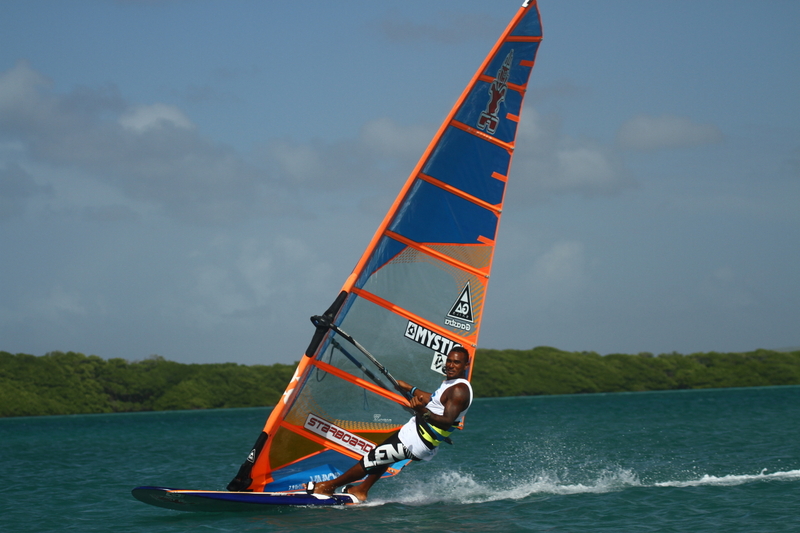 My passion for windsurf grew throughout so I dedicated myself in all discipline including wave sailing, freestyle, Slalom and even did 2 times at junior Olympic championships. Every year I set new bigger goals for myself and focus on what I want to accomplish for that year. Last year I wanted to accomplish one important goal, which was to end top 10 overall in Slalom, and I did. This year I am focused and ready to work hard and get to top 5 overall in slalom and stay in top 10 of freestyle, or maybe a top 5 back. 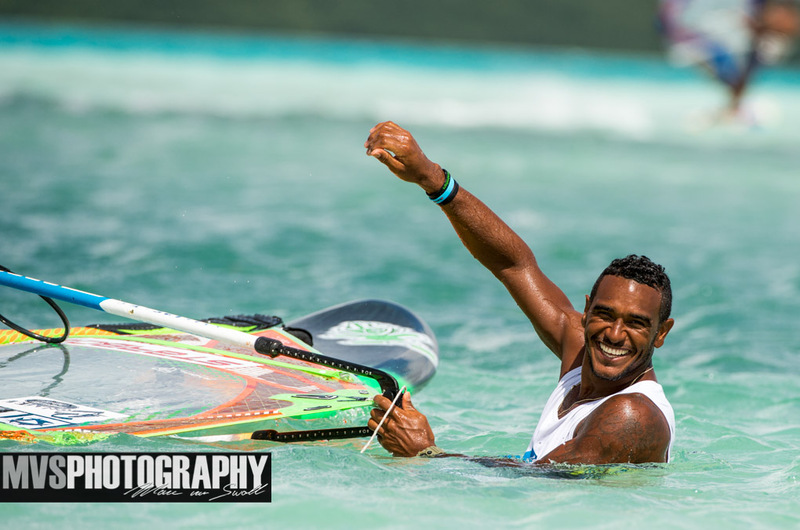 Winning is of course an accomplishment I am looking forward to, especially in slalom, but more important I want to leave legendary footprints in the windsurf world. I want everyone to know my name, smile and be inspired the moment they see my face. 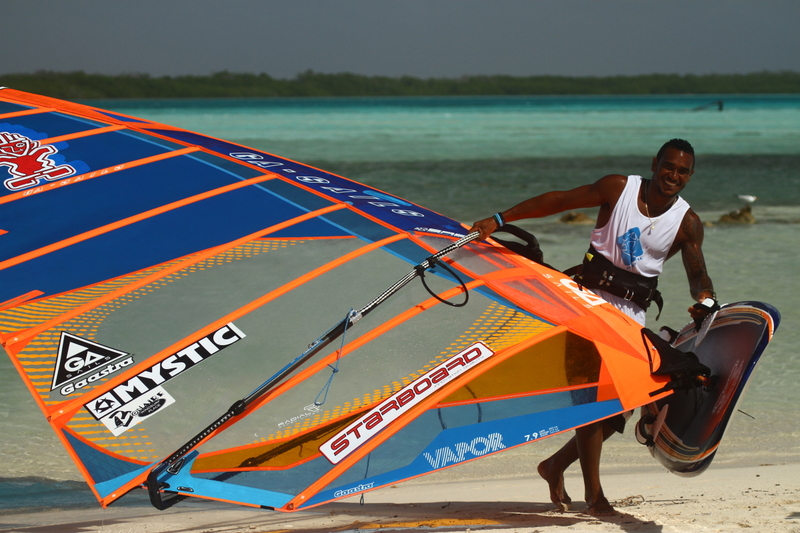 It would be great to be remembered as a great person that has inspired the world of windsurfing. That would be more than winning a WORLD TITLE, in my opinion CHAMPION fade, but a legend will always be remembered, and that would be my greatest achievement in my life. 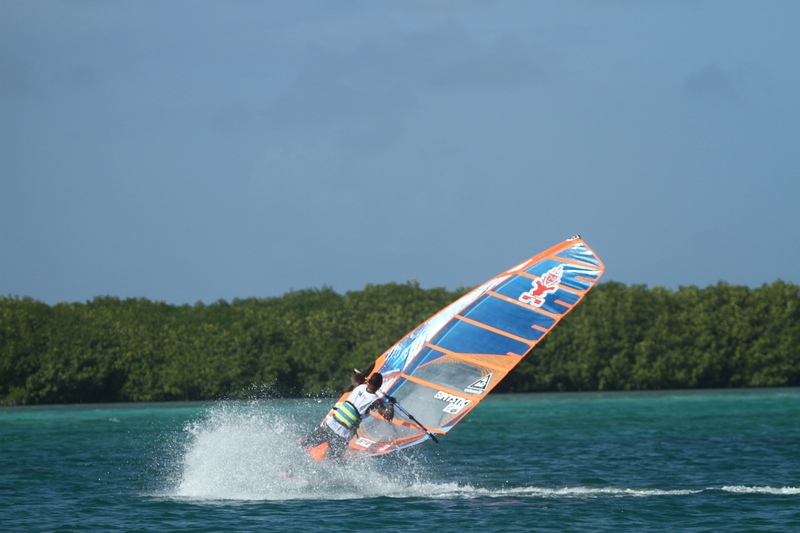 Windsurfing is not only about training on water, especially for slalom. A small structured person like me has to work double hard than the big boys. This does not only need to happen on the water, but also in the gym. 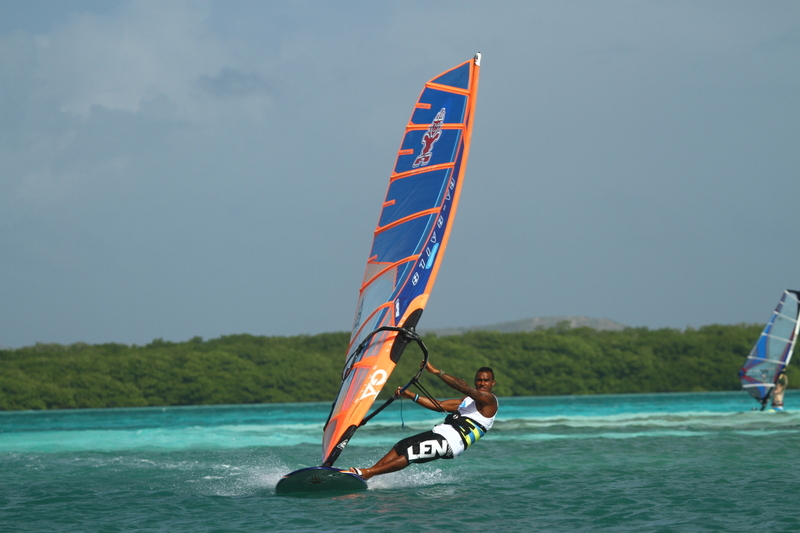 As a windsurfer/athlete you need to be able to balance your life between gym time and training time on the water. You need to be strong enough to keep a healthy body but also a healthy mind, because this sport does not only involve physical performance but also mental performance. Especially when the season starts, you have to be mentally strong enough to focus on your event(s), even when you are across the world from your family and friends. 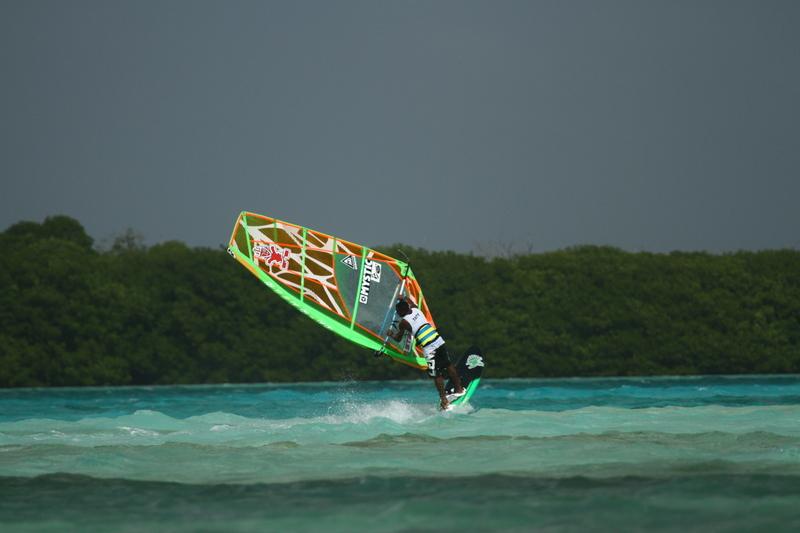 Windsurfing in general is my answer to everything, when I am happy, when I am sad, when I am motivated, when I need a push or when I just want to relax. 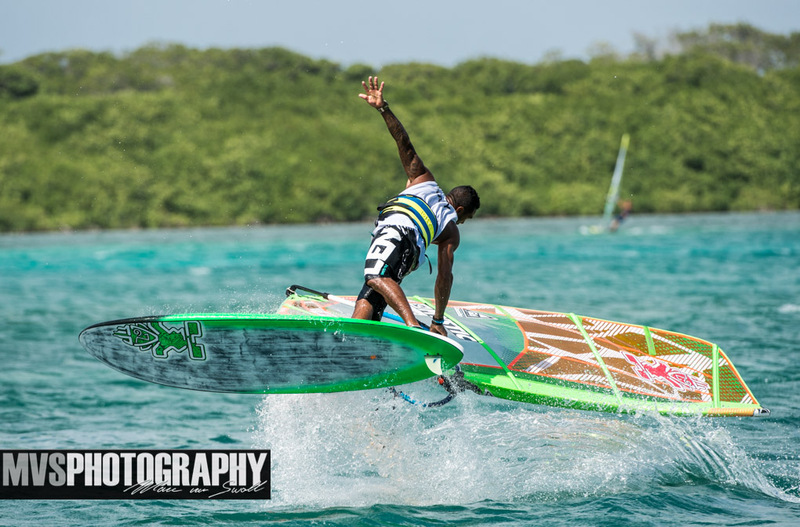 Just windsurfing in general feels good, but finally landing a move after a million falls, passing the finish line in a heat ahead of some big names, riding an awesome wave and hearing people talk about me in a positive way feel awesome! But the best feeling I get is the reactions I receive from my fans. The messages I receive randomly that show me how I inspire people, how I made someone happy just by being me and having a good performance. 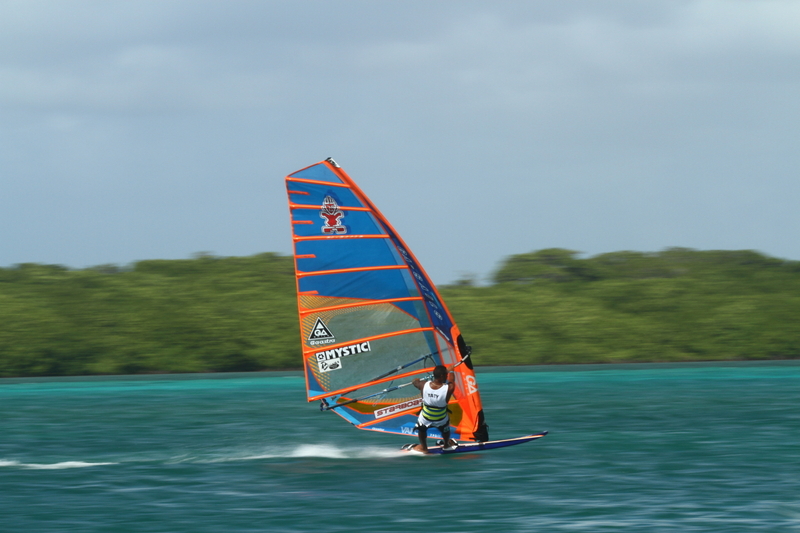 Depending on the wind I sometimes find it nice to do some wave at Red Slave on Bonaire, or at Lac Cay. But usually I train at Sorobon Lac Bay. The only time you can maybe train alone here is very early in the morning, because during the day there are always other windsurfers training at Sorobon Lac Bay, which is also nice. By training together we push each other’s limits and help each other to accomplish more and always better. Individually I also train at the gym together with my trainer a couple of days a week. The gym helps me get fit physically and also mentally. I make sure I learn all the small details of the board, sail, body movement, how my rig functions in such wind and sea conditions. It’s not that easy to find perfection but you learn as you train and the more you train it will one day bring success. Competitions are the most nerve racking thing, that sound of the horn of the start of a slalom heat or a freestyle heat. 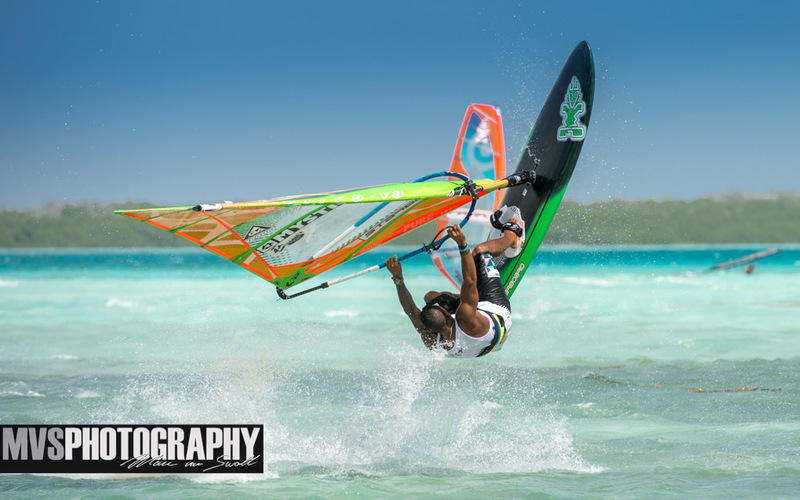 It’s the time when you have to show the crowd that you are that good of a windsurfer. But I like it :). My grandparents and my daughter. My grandparents have been there for me since day one, they have been by my side on my life journey and especially my windsurfing journey. They are always supporting me and pushing me to keep going and accomplish all my goals and dreams. My daughter is also my biggest fan because she believes in me, she asked me last year: daddy, when are you going to be on that stage so that we can celebrate? That is a sentence I remember every day and especially during my events, and that is the extra push I have to keep doing better and better. 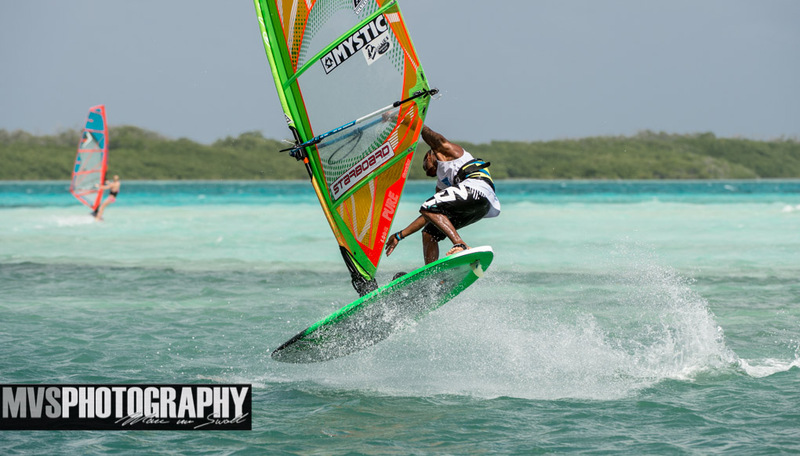 She even started windsurfing herself a couple of months ago, and she loves it! Always work hard, believe in your dreams and never ever give up. No matter what life throws at you, always look for the positive and keep going. Do everything with a smile on your face. Because by doing good, THE UNIVERSE OR GOD will always give good back to you. 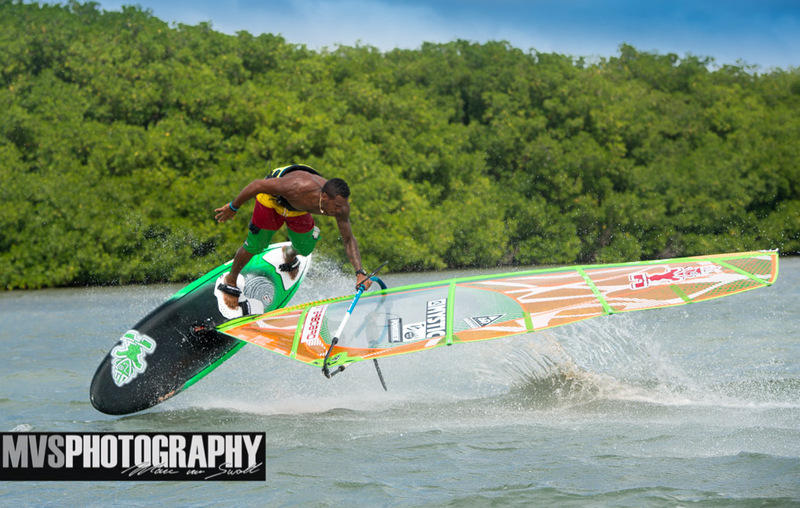 I will keep focusing on freestyle and slalom until I can and then eventually focus only on slalom. I want to accomplish every single one of my goals, and by then I will have new goals. I want to keep reaching higher and higher, the sky is the limit, and well… I am going for the universe. Don’t give up and don’t be afraid to push your own limits. Once you get on that board, you need to believe in yourself. Even if you fall a million times, never give up. Because it’s only by falling that you eventually land the move. And after you landed the move, push for another more extreme move. Keep pushing yourself. You set your own limits, so don’t be afraid to push your limits every time. FIND THE POWER AND ENERGY AND waste it in POSITIVE.